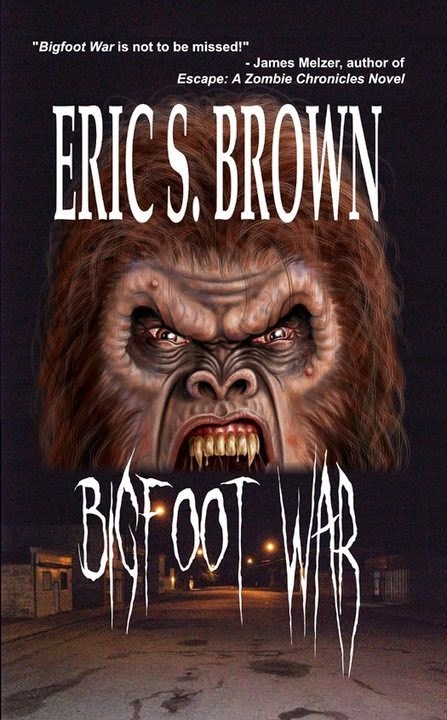 I got the privilege to interview "Bigfoot Wars" Creator Eric S. Brown, here's that interview! Q1: Bigfoot seems to be popular once again, why do you think that is? I don't know but I certainly agree. Bigfoot has been getting more and more popular for years. 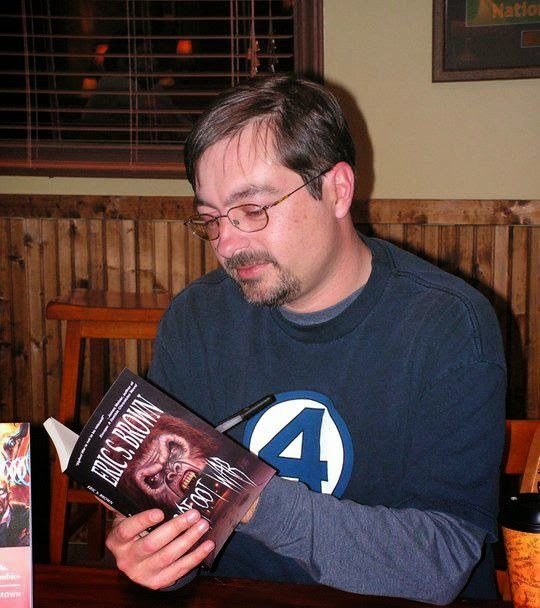 The first Bigfoot War book was released in 2010 and took a bit to take off but when it did, it was huge for Coscom Entertainment and myself. 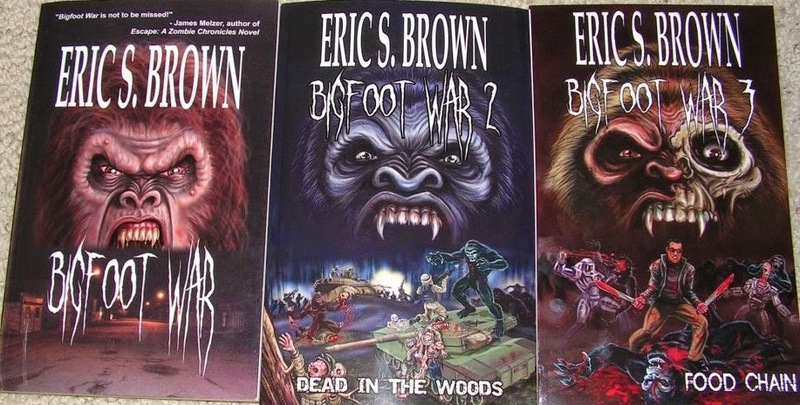 It led to a series of around 8 sequels and a collection set in the Bigfoot War universe. Q2: Are you worried about all the other Bigfoot films being released at the same time, there's a-lot of competition? Not really. Bigfoot War is unique in that it was the first Sasquatch Apocalypse book ever. Everyone knows the zombie apocalypse but the Bigfoot one was something new. The Bigfoot War movie as well should have more Sasquatch in it than any Bigfoot movie ever before. I trust Origin to adapt the book as best they can and honestly just feel blessed to have had my book made into a movie. Q3: What's it like seeing your work come to life on screen? It's really kind of surreal. 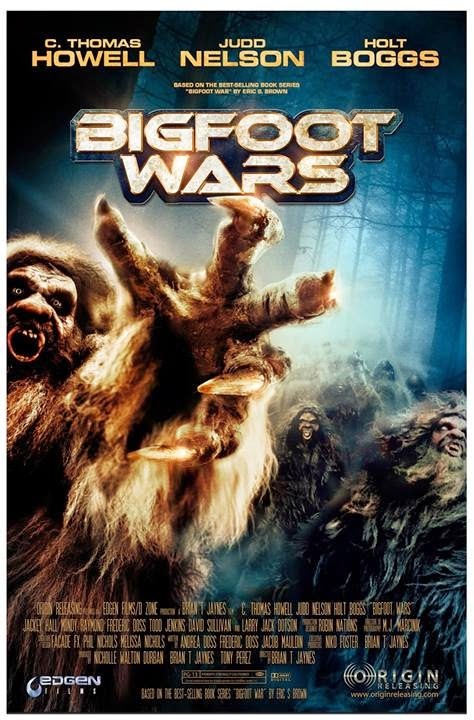 I mean I wrote Bigfoot War in the hopes that it would be a film someday for fans like me who always wanted MORE Sasquatch in the films out there. Watching the trailer for it is weird in that I get to see my work come to life and also see the parts of the book that were altered to make it a movie. All in all, it's a great experience however. Q4: What was your reaction when you were approached for a "Bigfoot Wars" film? I was stunned. I had never had one of my books picked up to be a movie before. I think every writer hopes for that on some level. And the money for the rights was a huge blessing too. It allowed my wife to leave her job and become a stay at home mom for a while. Q5: How much of an input have you had on the film and does it stick to its original content? They called me for advice from time to time but I pretty much requested to stay out of the loop on it. Bigfoot War may be one of the best things I have ever written in my career and certainly the most original as there wasn't a Sasquatch Apocalypse series out there before it BUT I'm a writer. I am always at work on something. I had to keep focus on what I am writing now and not get lost in the coolness of the movie. Currently, I am getting ready to start a 3rd Kaiju Apocalypse book with Jason Cordova for Severed Press. Our first one was released in April and has had amazing sales so far. Being a Kaiju fan, writing an apocalyptic book where a literal army of Kaiju was destorying the world was a blast and given the success of that first book, Kaiju Apocalypse, I am still rolling with that concept. Q6: What's your views on the current state of the Horror genre? I think it's a difficult genre to make a living in. The market is flooded with stuff and it's hard to come up with something new and different like Bigfoot War or Kaiju Apocalypse. That said, I think there is a diehard group of horror fans out there who refuse to let the genre die completely. Q7: Do you have any advice for anyone wanting to follow in your footsteps? Write as much as you can every day even if you just throw it away. Submit your work to publishers and/or agents when it's done, don't just show it around to friends, family, or writer's groups. That is pointless. And most of all, keep the faith. If writing is your dream, fight for it. Q8: Any final words for anyone reading this? Thanks for taking the time to talk with me. If you are looking for something different in the world of horror, try the Bigfoot War series or Kaiju Apocalypse. Based on the reviews, you likely won't be disappointed that you did.